An outbreak of pertussis is forcing Kennebunk school officials to cancel an annual Thanksgiving luncheon. Vials of Tdap vaccine sit on a table at a Solano County, Calif., health fair in August 2010. York County saw a spike of 66 cases of pertussis — also known as whooping cough — in September and October, and RSU 21 assistant superintendent Phil Potenziano says about 20 students in the middle school have developed the illness in the first two months of the school year. "Most recently we had another case as of last week, and that was kind of the deciding factor, was that additional case,” says Potenziano. Whooping cough is highly contagious, and Potenziano says the Thanksgiving luncheon draws hundred of attendees. "Pertussis has some particular concerning traits that occur with newborns, or elderly, or those with compromised immune systems." Potenziano says the decision to cancel the popular luncheon was made after consulting with the school physician and the Maine Center for Disease Control. "We just simply felt like it was too important to risk exposing community members who might have a compromised immune system," he says. The middle school plans to host a 'Welcome Spring' luncheon in March instead. According to data from Maine CDC data, York County has had 138 cases since January, the highest number in the state. The CDC says the best way to prevent an infection is to get vaccinated. The Sanford school department is warning parents that there have been several cases of pertussis, or whooping cough, at the school. District Superintendent David Theoharides says there have been four confirmed cases at Margaret Chase Smith primary school, and two at Sanford Junior High. There is a vaccination for pertussis, and it's most common in school-aged kids. Theoharides says in most cases it's not severe for those kids. He says a bigger concern is when they bring it home to younger family members. PORTLAND, Maine - Maine health officials continue to combat the state's high rate of whooping cough with the new vaccine mandate. 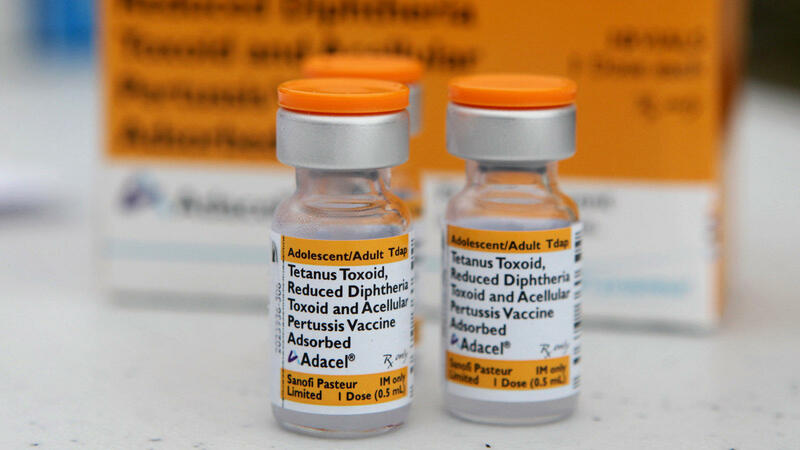 The Portland Press Herald reports that the Maine Center for Disease Control and Prevention is requiring incoming seventh-grade public school students to receive a second dose of Tdap, a vaccine that protects against tetanus, pertussis and diphtheria. Maine has one of the highest rates of pertussis - a contagious respiratory disease - in the country.